The season of outdoor picnics has dawned. If Western countries have the sandwich, Korea has gimbap as item of choice for dining alfresco in the park. 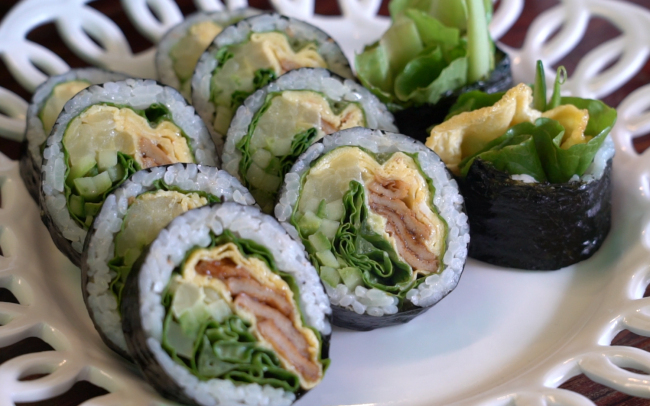 A timeless item on the lunch menu for Koreans, gimbap has also become a trendy meal in recent years. 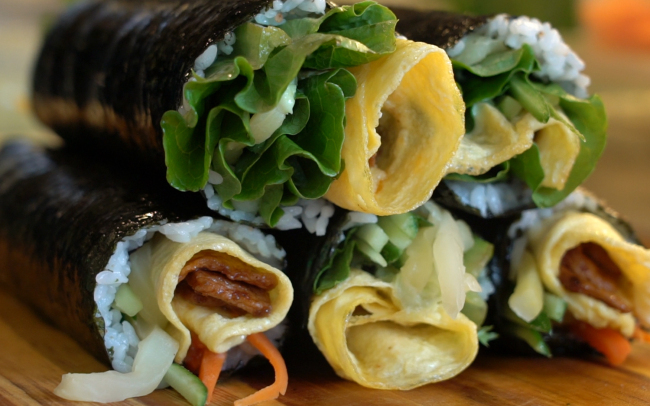 Various franchises that specialize in premium gimbap have popped up across the country. “We felt it was a type of food that could appeal to both Koreans and foreigners, while being at once healthy and convenient,” said Jo Jung-kyu, CEO of Black Rolls. The company plans to combine a drive-thru and beer and fries joint into its store concept. Currently, it’s running an experimental store in Ilsan, Gyeonggi Province, to gather direct feedback from customers.